Indianapolis, IN-June 30, 2018- The Flint Monarchs used a scoring barrage of three-point shooting and stifling defense to steal a 117-67 road victory against the Indianapolis Bandits. Flint native Arlesia Morse, who played collegiately at Marquette University, led the Monarchs with 30 points and six rebounds, making 5 of 8 shots behind the 3-point arc. Jasmine McCall posted 13 points, 7 rebounds and 12 assists, Crystal Bradford recorded 18 points, 15 rebounds and five steals, Jasmine Thomas recorded 11 points, 7 rebounds and 8 assists, Sparkle Taylor registered 13 points and 6 rebounds, Lesha Jones scored in 14 points and Brandie Baker chipped in 10 points. 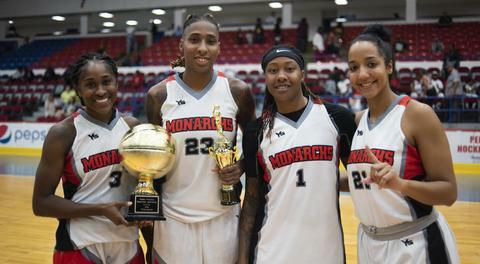 The Monarchs victory set new Global Women’s Basketball Association (GWBA) team and individual records for most points scored by a team (117), most assists recorded by a team (37), most 3 point field goals made by a team (15), most individual assists during a game (12 by McCall) and most individual rebounds during a game (15 by Bradford). Martha Burse led the Indianapolis Bandits with 23 points. 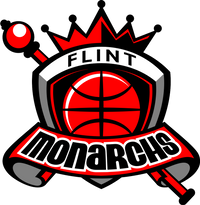 The Monarchs (3-1) will play their next home game at 4 p.m. Saturday July 7th at Dort Federal Event Center against the Illinois Warriors (0-4). Tickets for home games are $10 and available at the Event Center box office.